A medium stiffness, tactile switch with a soft click. 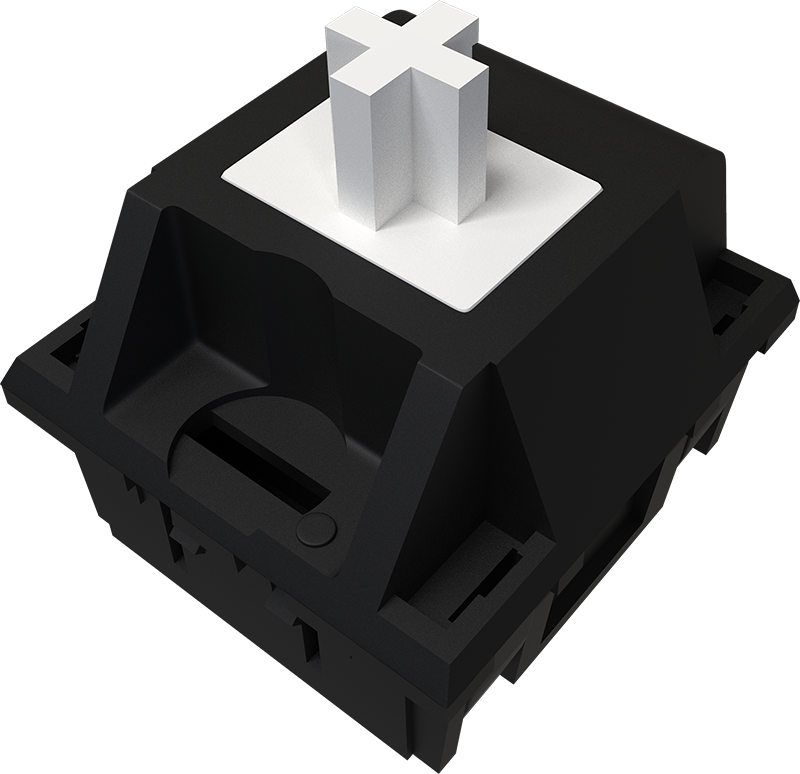 The 3rd generation of White Cherry MX switches started in 2007, and are very similar to Cherry MX Greens. Flawless typing keys. Never had a more satisfying keyboard to type on. Gaming response time was a almost imperceptibly slower at first, but you acclimate quickly. A good switch on paper in actual usage it's inconsistent as all hell. Have experience using Cherry MX White switches? Add a review to share your knowledge with the keyboard community.